Imagine your QSR at its most efficient. Since 1993, QuikServe Solutions has been solely focused on the QSR industry and creative technology that makes time consuming operational procedures a thing of the past. Customized restaurant efficiency at your fingertips. Let’s clarify the communication throughout the restaurant. From customer to POS terminal to kitchen monitor to customer, everyone can feel confident with the complete QuikServe system assisting at each step. Less time in the office so you can spend more time with your employees and customers. The QuikStation Back of House Reporting oversees and tracks the most important pillars of your restaurant: Sales, Labor, and Inventory, as well as Payroll Management. Manager time spent calculating and creating reports is minimized, increasing the availability for interactions with customers and crew members. A powerful tool to increase sales and drive down costs. ﻿Take control of customer engagement with agile menus that prominently display revenue driving items based on time, day, audience, or whenever an opportunity arises. With seamless integration, this innovative edge will realize an immediate return on investment. Internet security and PCI compliance for peace of mind. ﻿QuikServe Security will help you simplify the complexities of PCI Compliance and protect your investments. Our system security packages include the essential services for ensuring compliance and safeguarding your computers and data from common external threats. QuikServe Security helps merchants meet PCI DSS (Payment Card Industry Data Security Standards) requirements via advice, setup, and monitoring of your personal security package. Professional accounting services without the big accounting firm price. ﻿Leave the number crunching to our experienced accounting team. You’ll get accurate records and the numbers you need without the headache of doing it yourself or over-paying the big accounting firm to do it for you. Our pricing is competitive and references from current customers are available upon request. - Director of Operations - Tom Risler - PZA Inc. 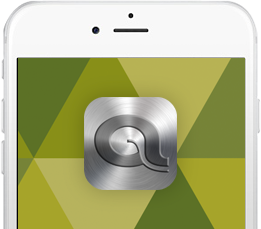 The ultimate QSR app for iOS! Restaurant reporting and real-time metrics in the palm of your hand. ﻿We promise not to bombard you with emails, pressure you into a purchase, or give your information to an annoying call center. Simply put, we’re here to help you be the most efficient QSR that you can be - and that includes not adding to the clutter in your mailbox! list for news about QuikServe products and special offers? Are you human? Enter the letters below.